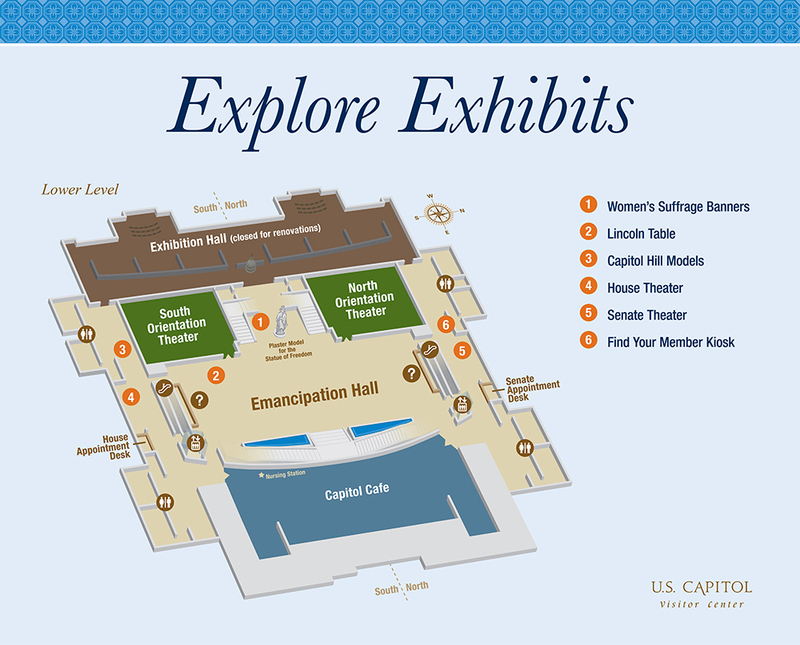 Come view the Capitol Visitor Center’s current exhibits, located on the lower level to learn more about the work of Congress and the Capitol’s architectural history. Enjoy 10-minute films about the workings of the U.S. House of Representatives and the U.S. Senate. Explore architectural models showing how the U.S. Capitol and the U.S. Capitol Grounds and Arboretum have changed over time. Look up your Member of Congress, find your state statues and take the congressional quiz. See the table from President Lincoln’s second inauguration made from surplus ironwork cast for the Capitol Dome. Learn about the long road to the ratification of the Nineteenth Amendment, which assured women the right to vote. Capitol Visitor Center staff also offer a number of interactive programs and activities, including interpretive carts where staff members elaborate on topics ranging from how a bill becomes a law to the art and architecture of the Capitol to the craftspeople who keep the Capitol looking beautiful. Please see our calendar for daily programming schedules. Image Gallery View Exhibition Artifacts by theme. Legislative Highlights View photos of historically significant laws.